Eating disorders take many forms: compulsive overeating, binging, bulimia (overusing laxatives or purging food), anorexia (self-starvation), or alternating between binging and starving. These behaviors may be chronic or may happen in times of stress. The level of severity may vary as well. An eating disorder causes you to focus on food and your body in a negative, unhealthy way. You may feel out of control or totally in control, but destructive to your body and yourself. Many people with eating disorders have unsuccessfully tried to manage alone for many years and feel very discouraged. Coming to therapy, admitting you need help, and facing the pain of the out-of-control behavior is a tremendous first step. In the therapy process, we work toward understanding the emotional components of your eating as well as developing healthier coping skills, behaviors, and eating habits. The ultimate goal of your therapy should be to recover! Along the way, you will learn to be more confident in yourself, to make your voice heard through communication, to validate your own emotions, to learn to love yourself, and to learn better ways of coping with anger, sadness, and stress. 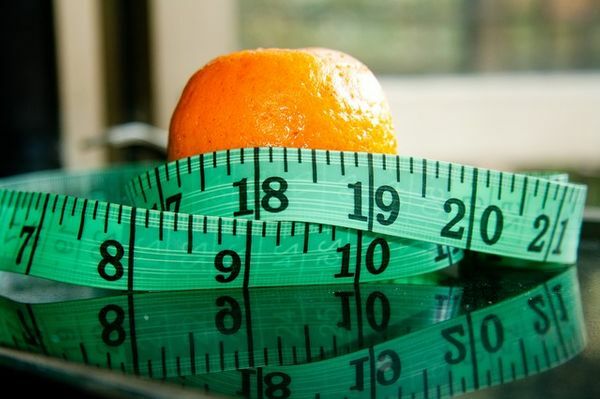 Which eating disorder services do I need? This depends on many factors such as the severity of your eating disorder, whether you are also depressed or anxious, how the eating disorder is affecting your relationships, and how much support you have from friends and family. When we meet for your initial appointment, we will discuss how frequently you will come to individual therapy and whether you will benefit from nutrition therapy, groups, and family or couples therapy. I take an integrative approach to eating disorder therapy. Typically, treatment begins by focusing on symptom reduction using cognitive-behavioral strategies and on substituting healthy coping skills. As eating habits become more balanced, therapy shifts to focus on the meaning of the eating disorder and on addressing feelings of guilt, shame, and low self-esteem. For adolescents and young adults, family therapy is an essential component of recovery. An adolescent's steps toward recovery are aided by family members who understand the recovery process and who make individual efforts in order to solidify the changes in the child and the family system. An adult with an eating disorder can also benefit from the support and feedback of their adult children and/or spouse. Couples eating disorder therapy address both the impact of the couple on the eating disorder and the impact of the eating disorder on the couple. The spouse’s attitudes about food, weight, and appearance may inadvertently reinforce eating-disordered thinking, and stress in the relationship may lead the partner with the eating disorder to fall back on their symptoms as a means of coping. In turn, the eating disorder may have a significant harmful impact on the couple's physical and emotional relationship. I believe a team approach using medical, nutritional, and psychological professionals to provide complete care is the most effective course of treatment. Treating an eating disorder is very individualized. No two people are the same and the amount of time spent in treatment will depend on the cause and severity of the problem. When an individual starts the process, they may deal with unpleasant emotions such as depression, anxiety, and loneliness. When these feelings intensify, the behavior part of the disorder—for example, purging, restricting, or taking laxatives—may increase. This is temporary and will subside. In working with adolescents, I often utilize the Maudsley approach. This method builds on evidence that family therapy approaches are superior to individual therapy approaches, particularly with younger patients (Russell et al., 1987; Eisler et al., 1997). The Maudsley approach involves the family from the outset of treatment and relies heavily on parental involvement in the refeeding of a child with an eating disorder. I have been helping clients overcome eating disorders for over 20 years, and am ready to assist you or your loved one on the road to recovery.